I really have great customers. Here are some pictures they have shared with me showing their purchases from http://shepherds-grove.com with their dogs or in their homes. I would love to show your pictures, so please submit them to contact@shepherds-grove.com with your name, dog's name (if included in the picture), and where the photo was taken (living room, porch, etc.). Thanks! This picture is from N. Daignault and shows Luna (her red Doberman) relaxing on her porch with a Red Doberman mug from Shepherds Grove. 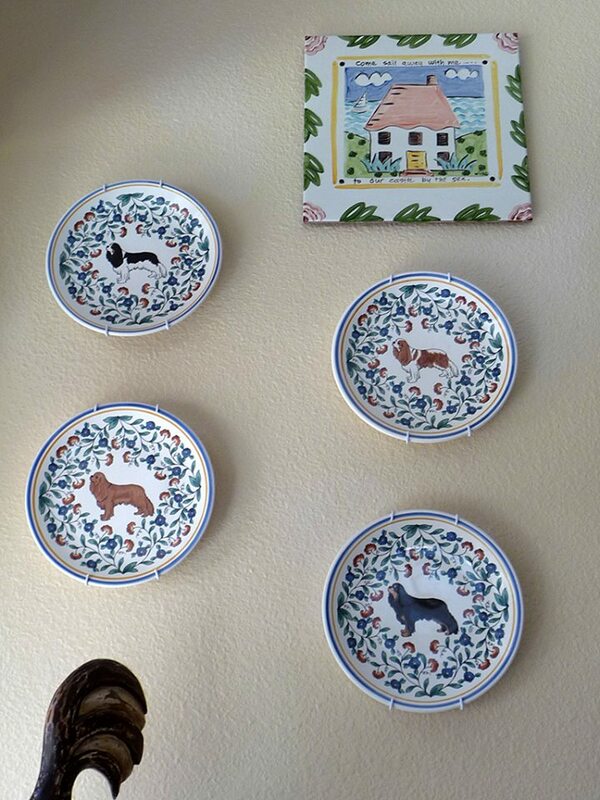 Set of 4 Cavalier King Charles Spaniel plates on the wall of my customer K. Kealy's wall. 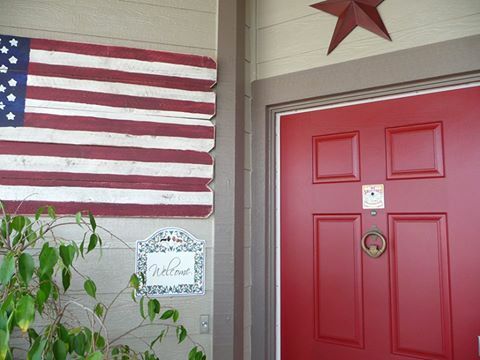 Cavalier King Charles welcome sign at my customer's entry way - Thanks K. Kealy. 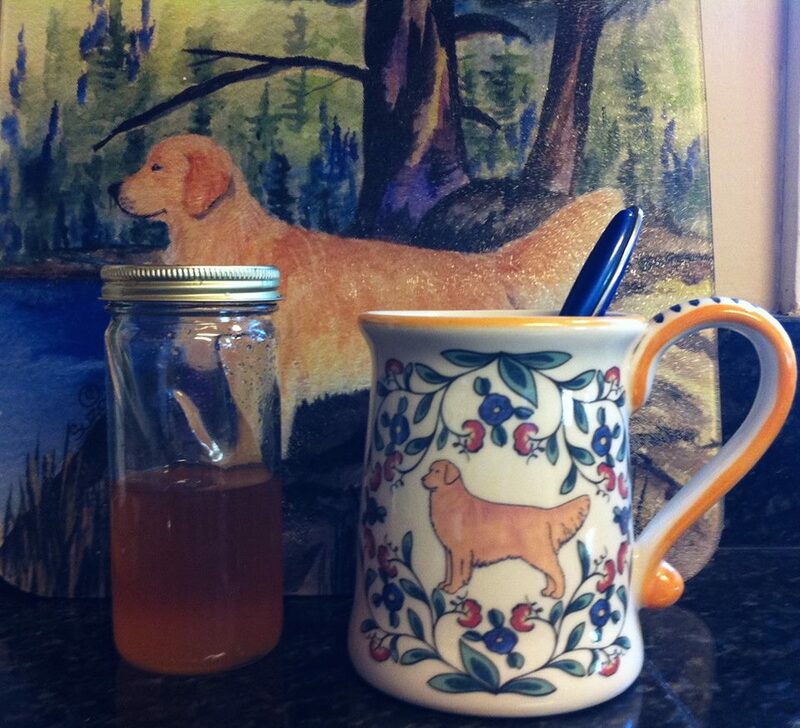 Golden retriever mug at home - thank you J. Palais for the photo! Helen's Chihuahua with her black and tan Chihuahua mug. Thanks for the picture Helen! 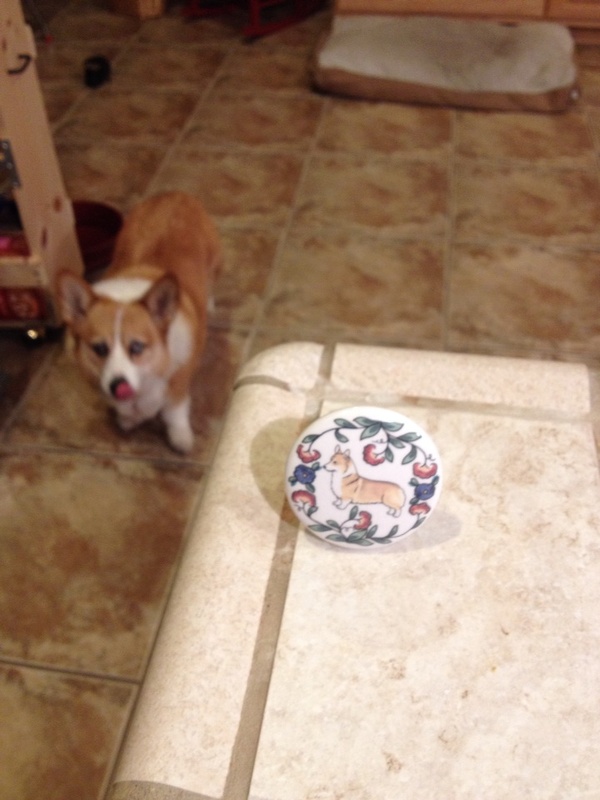 Ginger the Corgi with one of my Corgi wine stoppers. Thank you to C. Sladen for sharing this!